If including your cousin's dog in the family gift exchange isn't in your budget, it might be time to consider these two options. Make a budget plan for gift-giving with EveryDollar! Gift-giving among extended families can be tricky—especially if you’re not in a position to give cheerfully, like the Bible describes in 2 Corinthians 9:7. Sure, you want to give! But too many gift purchases are hurting your budget, and that’s stressing you out. There’s no cheer in that. Let’s be clear on two things. First, if your budget allows you to bless your 12 nieces and nephews, 15 cousins and 18 of their parents every birthday and at Christmas—and you truly enjoy doing it—then go for it! That system works for you, and that’s great. Second, we’re not against celebrating birthdays and Christmas. We fully support eating birthday cake with your family and getting together on Christmas to open gifts! 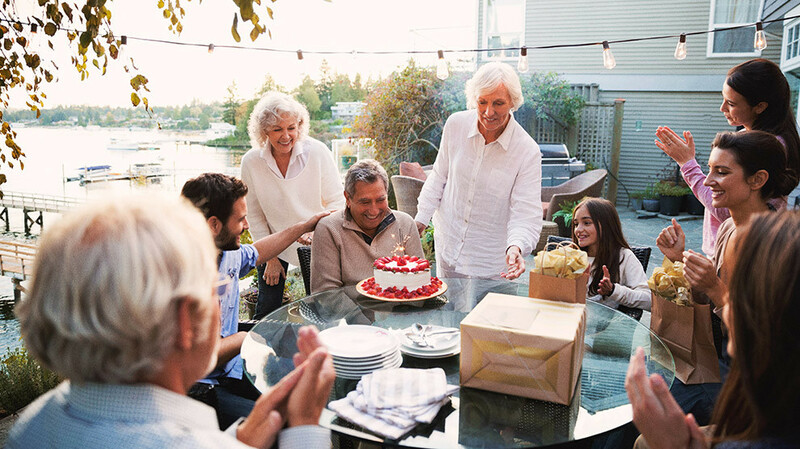 But if you find yourself giving out of guilt or obligation—maybe it’s an old family tradition that no longer works because your family has outgrown your gift envelope—read on. Biblical generosity means you've taken care of your own household's needs first. God is the greatest gift-giver. Matthew 7:10–11 tells us how much He loves to give us good gifts. He gives His love unconditionally, and He gave His own Son to secure our salvation. Giving is biblical (Proverbs 11:24), and God honors our generosity! But He wants our gifts to glorify Him and be a blessing to our recipients and to us. That doesn’t necessarily mean giving two wrapped presents per person, per year. It does mean you’ve taken care of your own household’s needs first (1 Timothy 5:8) and made sure any gifts you do give make sense in your budget. But if your gift-giving stresses you out, kills your budget, and keeps you from taking care of your own family’s finances, it’s not a blessing to anyone—and it’s definitely not biblical. Not everyone is wired with a passion for gift-giving, and not everyone is financially able to give during all seasons of their life. It’s nothing to feel guilty about! If you’re ready to put an end to the madness, consider these two alternatives. Just make sure everyone in your family is on the same page before you start any new traditions! Related: EveryDollar helps millions of people just like you take care of their families and achieve their money goals! Try it today! Wouldn’t it be great to buy a really nice gift for just one cousin, uncle or niece instead of less thoughtful, throwaway gifts for all 20? Imagine how much greater a blessing that one gift could be to them—and to you! You could put more money, time and energy toward it, and you’d probably be genuinely excited to give it. It would feel more like a privilege and less like a money-sucking chore. It’s really simple: Just have each family member draw a name. It works really well for birthdays and Christmas. Draw names for Christmas in the fall, and draw names when you’re all together for Christmas for birthday gifts the following year. Make sure you agree on a spending limit ahead of time. That prevents poor Grandpa Harold from receiving a 12-pack of white crew socks from Cousin David when Grandpa gave Aunt Melody that expensive new DSLR camera she’d been eyeing. If you include kids in the exchange, encourage them to earn the money they’ll need to pay for the gift they’re giving. Lots of character building can happen in that process, from selecting thoughtful gifts and understanding the value of hard work, to learning the importance of generosity and gratitude for the gifts they receive from others. An alternative is to exclude kids and continue to have extended family members buy for all them. In that case, it would be just the adults who buy one gift apiece for each other. Kids can participate when they reach adulthood themselves! If your family appreciates experiences more than material gifts, consider skipping individual presents altogether. Instead, think about the memories and traditions your family already shares. What did you do together during your childhood you could recreate decades later? Maybe you rent a big vacation cabin. Big spaces that sleep a few dozen people can actually be pretty affordable when you divide the cost among several groups. For something more budget-friendly, plan a trip to a local amusement park. Or go even cheaper: pizza and mini golf, ice cream and laser tag, a picnic and family baseball game at the park. You get the idea! Each family pays their own way to participate, so the real gift is in the quality time, the memories you’ll make, and the chance to introduce a new generation to old family activities. Whatever route you go, remember to receive with gratitude. Generosity isn’t just in the giving of gifts—it’s in the receiving of them too. So show the gift-giver how much you appreciate the time, thought and money they put into their gift. That joyful, appreciative spirit is a gift itself! Want more advice on handling tricky money situations biblically? Sign up for the Stewardship.com newsletter today!